Greensfelder is pleased to announce that attorney Paul Matecki has joined the firm in St. Louis as a member of the Securities & Financial Services industry group. Mr. Matecki has over three decades of experience counseling financial services firms. He most recently served as general counsel for Raymond James Financial Inc., leading all legal and corporate governance functions for the public bank holding company. Mr. Matecki has worked extensively on securities litigation and regulatory matters, as well as issues of corporate governance. In his 27 years with Raymond James Financial Inc., Mr. Matecki was heavily involved in resolving regulatory actions by the SEC, FINRA and all 50 states to significant advantage for the firm, as well as trying and managing litigation matters to successful resolution. He also worked to establish a culture of compliance and risk reduction while strengthening the firm’s legal and business infrastructure and closed multiple M&A transactions, helping the firm expand to become one of the industry’s largest. A former member of the General Counsel Committee of the Securities Industry and Financial Markets Association (SIFMA), Mr. Matecki has been a frequent presenter at conferences hosted by SIFMA. 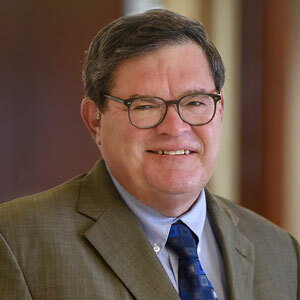 He also has been an active member and speaker for the Association of Corporate Counsel and previously served on the FINRA National Arbitration and Mediation Committee, NYSE Supervisors' Continuing Education Training Committee, and SIFMA Arbitration and State Regulation and Legislation Committees. Mr. Matecki earned his law degree from Saint Louis University School of Law and also holds a Bachelor of Arts from Grinnell College.